← The Final Super Saturday: Discussing the songs of the week and the songs still to come! Well, another national final season has come to an end, and I don’t know what to do with my life anymore. The Netherlands are calm after the silent storm inside Carl Espen, which was originally worked up in Sanna Nielsen’s head; Greece are trying to rise up but Conchita Wurst’s determination to rise like a phoenix is getting in their way a little bit; and Latvia are still pondering over how to bake that cake with no help from TEO who’s got the cheesecake recipe down pat. I could go on, but instead, allow me to introduce the first of many (i.e. about three) complete rankings of this year’s Eurovision. Russia’s entry was the missing piece of the puzzle up until a few days ago, and now we’re all free to get busy ordering all 37 competitors from douze-worthy to ‘OH DEAR GOD WHY! WHYYYYYYYYY!!!!!’. It took me a while to figure mine out, and because I hadn’t ranked since around the twenty-song mark, I was flabbergasted by my own apparent opinions. Without further ado, I’ll let you be flabbergasted by them too. This is my pre-contest top 37, with a few justifications along the way. France – My t-shirt with ‘Team Twin Twin’ emblazoned on the front is in the post as we speak. Well, I wish it was anyway, because Moustache has been right up my street from the start. 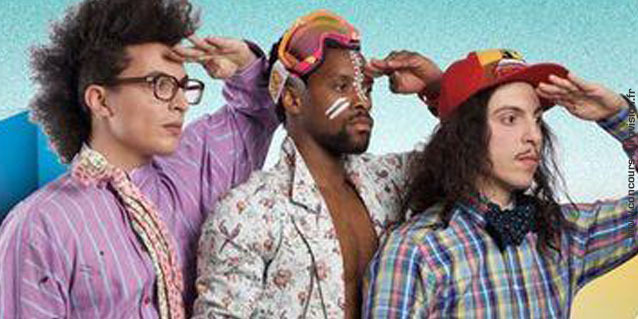 It’s exactly what I want from French pop: catchy, fun, and singing the praises of facial hair (kind of). L’AMOUR. Twin Twin, attempting to spot that sought-after moustache on the horizon. Sweden – And underneath my TwinTwin shirt, I’ll be wearing…another one that reads ‘Team Sanna!’, of course. I’m still riding high on her Melfest triumph, and to quote Loreen, I’m feeling serious euphoria over Undo. It’s pretty in its own right, but what makes it a stunner is Sanna’s amazing vocal performance. Wear a cardigan when Sweden takes to the stage peeps, ‘cause you’ll be getting chills. Greece – I didn’t realise quite how much I liked this until I went a-ranking. The combo of dance sounds, rapping, singing by hot Greek men and trumpets is an excellent one. The Floorfiller of the Year Award may be a lost cause for all the other up-tempo countries. Belarus – That’s right, the cheesecake is still in a sweet (ha) position in my top five. Don’t get me wrong, I’m not being won over by TEO’s Robin Thicke-brand sleaze. I just find this irresistible. Armenia – Rounding out my top five is Aram Mp3, with what is emerging as a hot favourite to win the whole contest. I’m a bit confused by that, but I do love Not Alone. It’s got light and shade, drama and beauty, serenity and anger…basically, a whole lotta contrast. 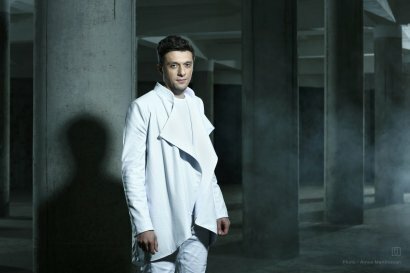 Could Aram (and Robin Stjernberg’s jacket) possibly win the ESC for Armenia? Poland – This is undoubtedly the Igranka of 2014 (with added boobage) and while that means it’s unlikely to qualify, it also means I love it. I am still trying to figure out what Donatan’s going to do on stage, though. United Kingdom – They’ve done good this year, you’ve got to admit. I personally am finding COTU to be more of a grower than an instant hit, but I love how anthemic and fresh it sounds. 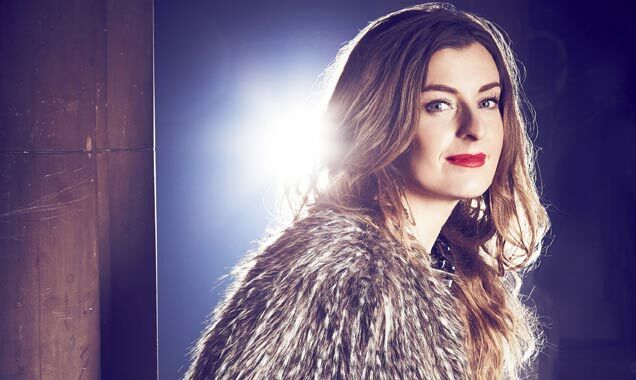 I genuinely hope Molly can give the UK their best result since Blue, or even Andrew Lloyd Webber and Jade. Molly: the first UK contestant in years to have full control of her bladder. Romania – It’s a miracle that I’ve come around on this one, let me tell you. I’m still highly unimpressed by the lyrical content, such as it is, but as far as catchiness goes, I’ve mellowed. Ukraine – The original version of Tick Tock would have made my top 15 at least. But I’m part of the minority who think Ukraine have turned it into a totally different and much less appealing song with this third overhaul. The look on Maria’s face says it all. Israel – This is a perfectly good pop song, but that’s all I can really say about it. It doesn’t do anything for me/to me. And TBH, I find Mei a little scary in the way she attacks this song. Austria – This is not the ‘ugh!’ end of the spectrum; that’s reserved for the bottom two songs only. This is the ‘not my thing’ section. I like the drama Conchita’s giving us, and her performance will be just as dramatic for sure, but the James Bond vibe just doesn’t float my boat. I can’t wait to see what outfit Conchita pulls out for the ESC. Belgium – Last year, Belgium blew me away, and as far as I can remember, never dropped out of my top 10. This year, I cannot stand them. Well, their song, anyway. Not the whole country. I don’t get this at all. I’m not even sure it’ll get the mother votes. One of the bajillion things I love about Eurovision is that you never know which countries you’re going to end up fist-pumping for. While I’m pleased to say that the likes of Hungary and Sweden are ranking highly with me yet again, it makes me equally happy that I can fully back countries like France, Belarus and Poland for the first time in ages (or in some cases, ever). How all of these countries will do in the contest – and whether they’ll keep their current positions in my ever-changing rankings – remains to be seen. That’s all I have to say for today, but I will be back in a big way in the lead-up to May 6th. Here’s a peek at my posting schedule for anyone interested (yes, I made one. It’s a great way to procrastinate study). Before that chaotic period begins, let me know all about your rankings. Who’s riding high in your top 10? Which countries have impressed you for the second, third or infinite time in a row? And which delegations shouldn’t even bother hopping on the plane to Copenhagen? Hit me up with all of your thoughts. Posted on March 23, 2014, in Eurovision 2014 and tagged Aram Mp3, Armenia, Conchita Wurst, Copenhagen, Eurovision 2014, France, rankings, Sanna Nielsen, Sweden, top 37, Twin Twin. Bookmark the permalink. 4 Comments. Be my guest!! We can’t deny the truth of it. Nice ranking! Would have liked to have seen the UK a little higher, but hey 😉 At least Molly’s in your top 20! I’m really liking so many of the songs this year that I’m finding it hard to put together my definitive top 5 or top 10, but the countries that I know would feature in mine are: Armenia, Norway, Sweden, UK, Malta, Austria & Denmark. Really looking forward the contest! Sorry for the delayed reply! Give me a little time and I suspect Molly will rise in my rankings. Even if she didn’t, I’d be majorly excited if the UK managed to win this year. Forget Romania – THAT would be a miracle. Scandinavia is bringing it this year, judging by your favourites, mine and most other people’s. I wasn’t a fan of Denmark last year (!!!) but this host entry rocks and I’d love to see Basim do well.